Join SP Scientific and Dr. Alexandra Braun, of GILYOS GmbH, for an insightful webinar on miniaturization in freeze drying. 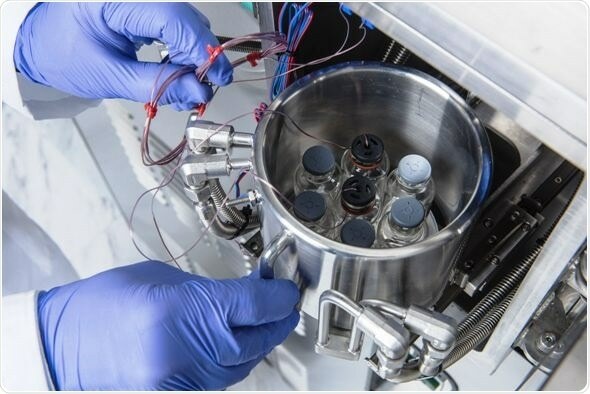 Miniaturization is an important topic – especially in the early development phase of new drug entities – due to the limited availability and costs of most Active Pharmaceutical Ingredients (API). The webinar, which will take place on January 24, 2019, will focus on ways to jumpstart your development effort, including the use of Manometric Temperature Measurement and SMART™ process analytical technology (PAT) tools in the LyoCapsule™ freeze dryer. Illustrated by several examples, Dr. Braun will discuss wall temperature adjustment, amorphous and crystalline formulations and minimum load requirements for reliable values. Dr. Braun will also demonstrate the use of PAT tools in the development of a robust and reproducible cycle, as well as the cycle transfer to larger units. The innovative LyoCapsule™ consists of a small cylindrical inner-chamber intended to freeze dry a reduced number of vials – typically seven x 20R vials. It utilizes wall temperature control to emulate heat and mass transfer conditions typically encountered in larger scale and is equipped with a full suite of PAT tools to facilitate process development and successful scale-up/scale-down.